It’s Terry Again! My birthday is March 8th (1948) ,my favourite Elvis movies are Roustabout, Double Trouble, and Girl Happy…favourite song is Return To Sender (and Baby I Don’t Care. I attended concerts in Houston, Vegas, Chicago , Pontiac (the Silverdome), Buffalo, Niagara Falls NY, Dayton Ohio, Richfield Ohio and Detroit Michigan. 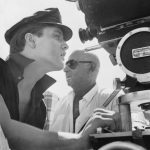 Another time I will relate a very unusual story which occurred after Elvis’ death. 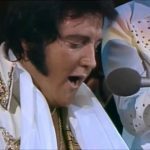 I had seen Elvis a few times in concert without ever thinking of giving him a gift. This time was different. I asked a jeweller friend of mine to create a gold initial ring for me and I took it to the Detroit Olympia and was hoping somehow to give it to Elvis. My seat was in a different state…far, far from the stage. Before the show began i got as close as I could to the front of the stage and saw J.D. and Kathy Westmoreland talking to some fans. I mentioned her over and asked if she could give my gift to Elvis. She assured me she would. A few months later Elvis was gone and I was never sure if he got the ring until a couple of years after Graceland opened to the public and a friend of mine was there and saw it in a display case with some other stage jewellery including . the TCB ring. I was so happy !!!! At last I knew that Elvis had received my personal thank you for years of joyous entertainment. Some years later my wife and I went to Graceland and I saw the ring again so many years after that special evening in Detroit. forgot to mention that I tried for several years to contact Kathy and finally did thru a fan club …she asked my permission to put the story on her web page so I am assuming she did. I am not too sure she actually remembered the event though. I am not really computer literate but I will get my wife to do it. 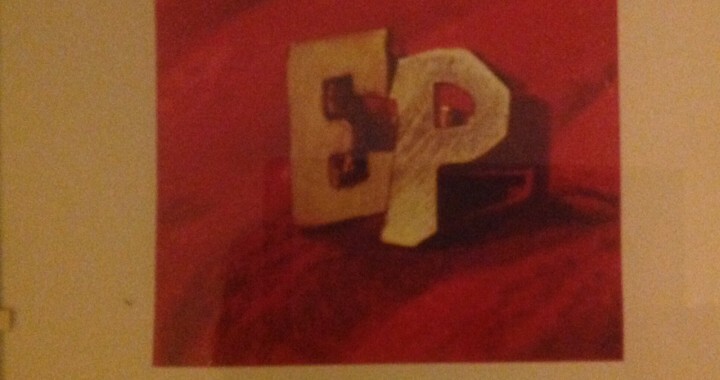 Actually if you check out the DVD “Elvis By The Presleys” in the chapter Style, the ring is there on a red background. That really freaked me out. I wrote to EPE and explained the whole story because I wanted my jeweller friend to get credit for making the piece but that never happened. I did get a letter back thanking me for explaining the ring but that was it. I often wonder whatever happened to the note that I had included with the ring when I gave it to Kathy Westmoreland. My jeweller friend has passed away and my friend who went with me to the concert is untraceable as is my friend who saw the ring at Graceland. I really can’t verify the story but in my heart I am proud. I am not sure if Larry Geller would remember that night if he was there. 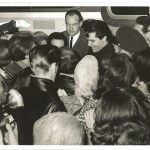 I am looking to acquire Concert Photos from Houston 1970 March … my first Elvis Show.